See why everyone’s talking about Heiser... we have been voted Best Domestic Auto Group and ranked as the Fastest Growing Ford Dealership in the State! To celebrate Labor Day, +Heiser Chevrolet and +Heiser Chevrolet Cadillac are offering exciting Bonus Cashof $500 on 2013 Chevrolet models.This expires on Tuesday, so hurry!If you’re considering a +Chevrolet, now is the time to see Heiser. *Bonus Cash on gas model only. Lease price is based on 36,000 miles with $0 down payment, $0 security deposit, $0 first payment-totaling $0 due at delivery; tax extra; for qualified customers (Tier 1+ and Tier 1). Offers end 9/3/13. Get big rebates or low APR financing on your purchase during the Nationwide Clearance Sales Event at +Heiser Toyota Scion , off Highway 45 at Good Hope. Brian Crandall Provides Out of the Ballpark Leadership at +Heiser Chevrolet! 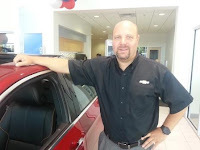 This month we recognize our Heiser Chevrolet General Manager, Brian Crandall. Known for his outgoing smile and genuine demeanor, he is always out to win over customers. One way he accomplishes this is by keeping an “open door” and remaining accessible to all. 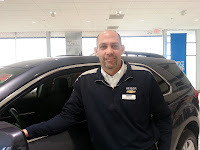 Yet, it is Brian’s love of cars that keeps him on the showroom floor, often demonstrating product features and helping answer shoppers’ questions.